Logo, Slogan, URL, Phone #. I would like to see some creative ways to put this info on the shirt. 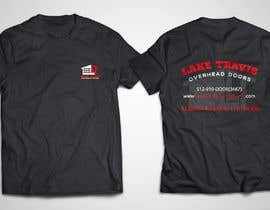 The URL is [login to view URL], not www.LakeTravisOverheadDoors.com. Also, if you can feel free to come up with a “call to action” that is fun. After I see some of the entries, I will let you know what I am liking. 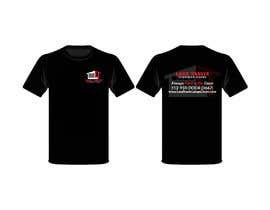 *Most shirts will be black, but we may print on red also. *FONT FILES AND FONT NAMES REQUIRED. *Must be willing to make changes to any design to make it fit our brand. Multiple designs per saying may be needed to find the right one. Willing to do revisions. Would like to see “ghost” logo behind the logo or somewhere on the design. I don&#039;t want a real ghost. I want the ghosting of the logo. Please see the business card that I uploaded. He has the logo, with a lighter, ghost-like logo behind it. Please check my entry #78,#79,#80. 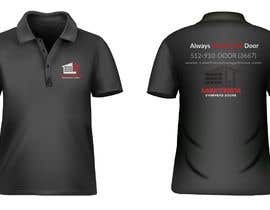 I hope you will like this polo shirt. If you want any change just inform me, i am ready for your design. The URL is www.LakeTravisGarageDoors.com, not www.LakeTravisOverheadDoors.com. When I say ghost-like logo, I guess I mean transparent logo. Really would like to see something creative on the back. I like the plain logo on the front to the side as in #19. #guaranteed and #increaseprize please ma'am. I don't want a real ghost. I want the ghosting of the logo. Please see the business card that I uploaded. He has the logo, with a lighter, ghost-like logo behind it. I mainly just need the AI, EPS file.